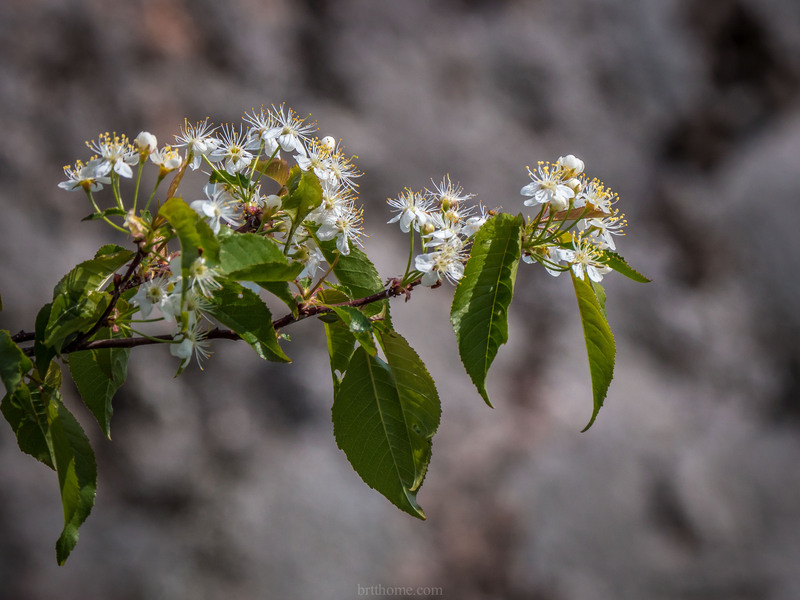 Spring ephemerals are in full or fading bloom as the canopy is often leafing out. The migrants have either passed through or are establishing families. 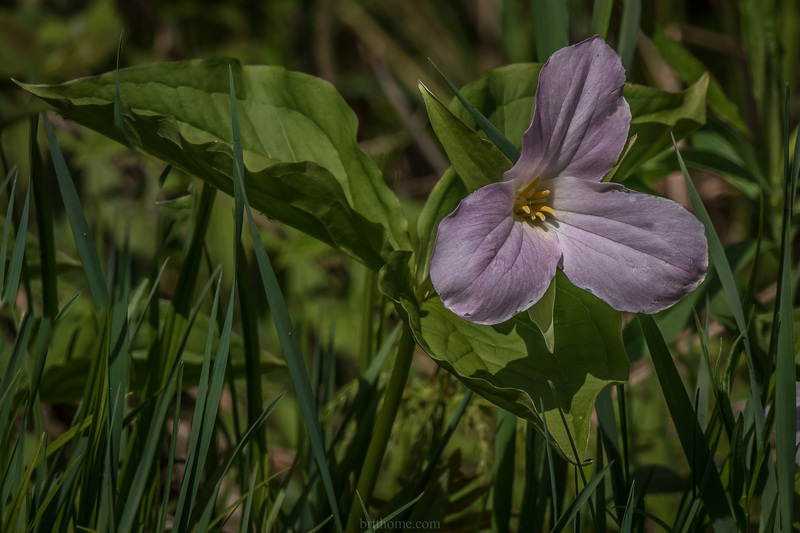 The pollinators are on the flowers and the predatory insects are filling up on blackflies. Remember to click on the images once or twice to zoom in for a proper look. 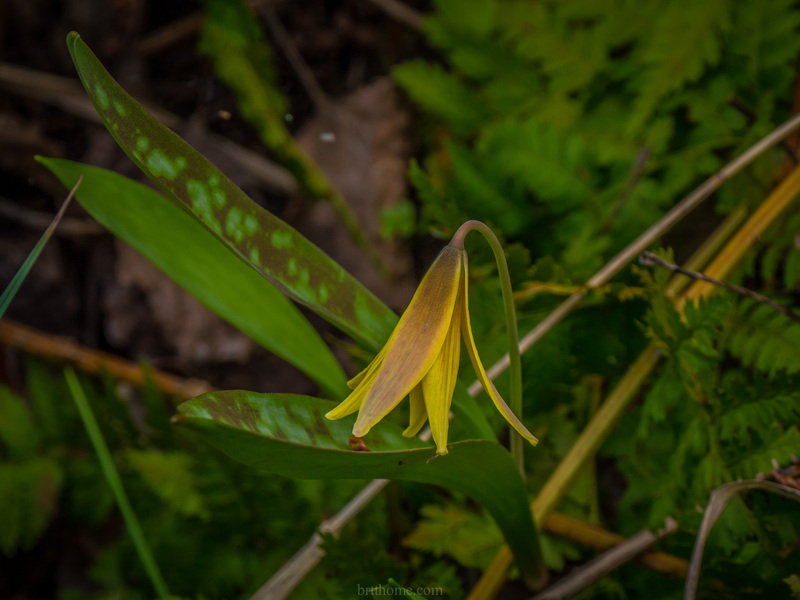 The last of the Trout Lilies are blooming in the deep woods. Like many spring ephemerals, Trout lilies reproduce asexually, producing corms to develop colonies. That is a good strategy to counter cold late springs when the strength of pollinators is limited. Pin cherries are the first of our four wild cherries to bloom. 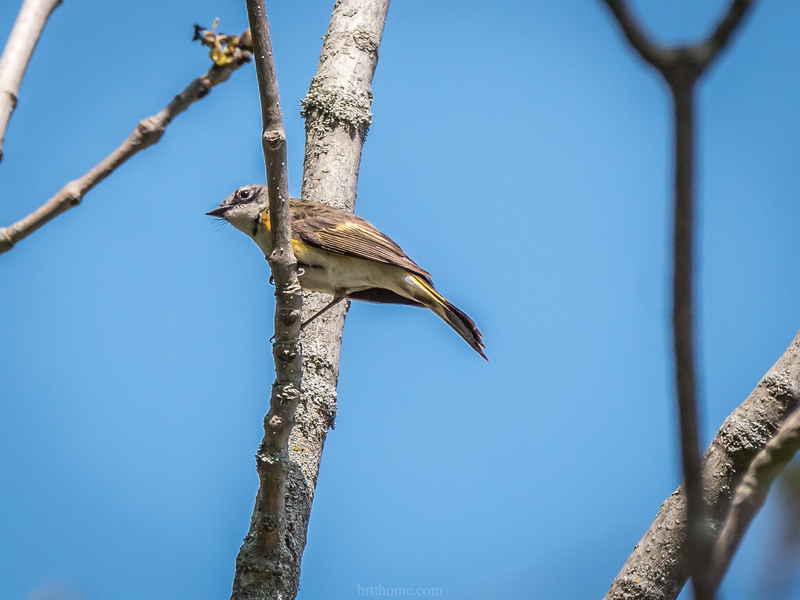 This female American Redstart is gleaning the Tag Alders at Big (Gereaux) Lake. 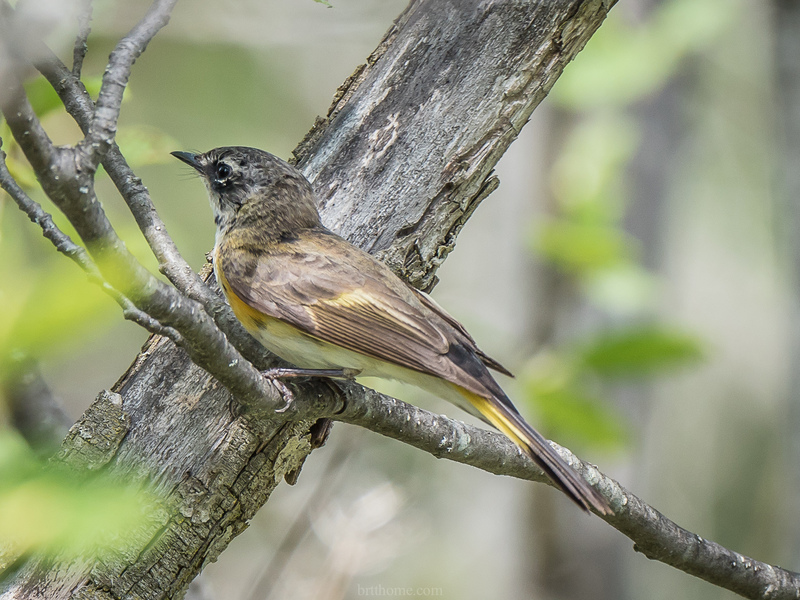 She is probably building a nest in the mixed Alder, Poplar, Cherry, Ash scrub near the lake. 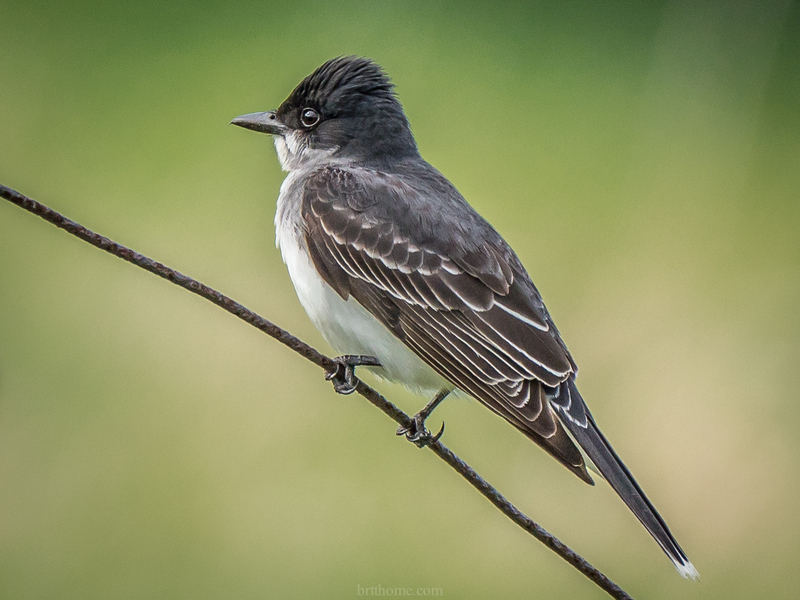 And this gal was eyeing the photographer from a high perch on a late Ash tree near my house. I hope that she decides to stay. 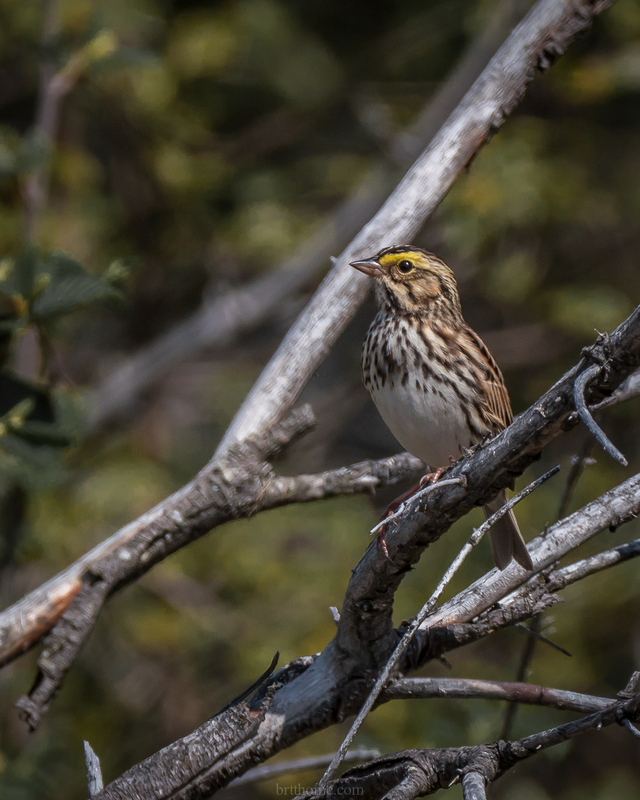 The yellow streak in front of and above the eye helps to ID this Savannah Sparrow. 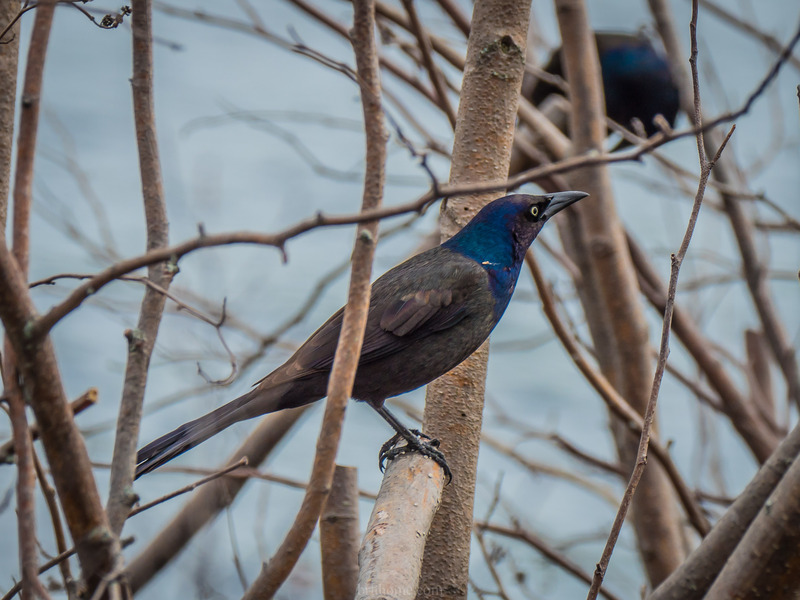 This pair of Common Grackles are probably nesting along Riverside Road east of Wright’s Marina. Grackles belong to an interesting family of birdies, the Icterids. This American Bittern has been serenading Dave and Irene, morning and evening, for about a week. Listen to its unique sound, either on the “overview” webpage, or at this link. 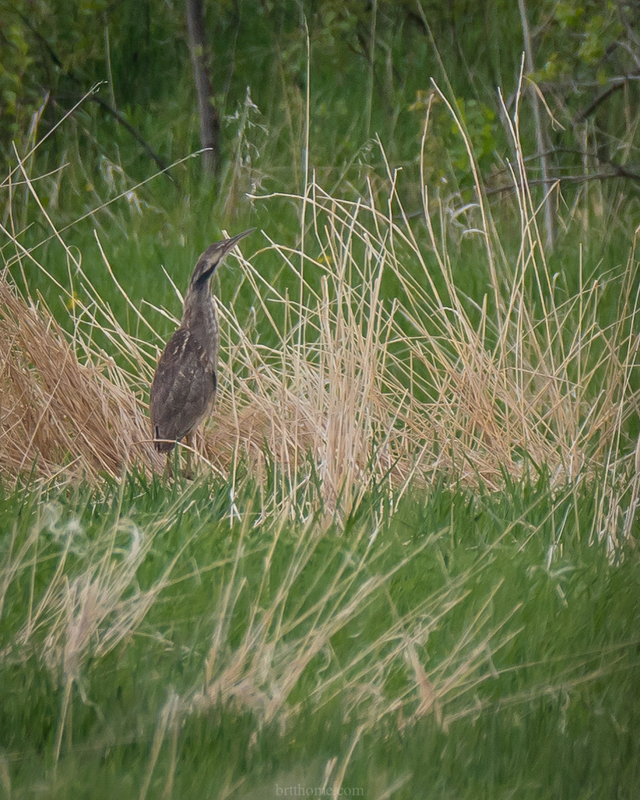 The American Bittern above was about 100 metres away, stretching my eyes and the 100-400 lens to its maximum reach. 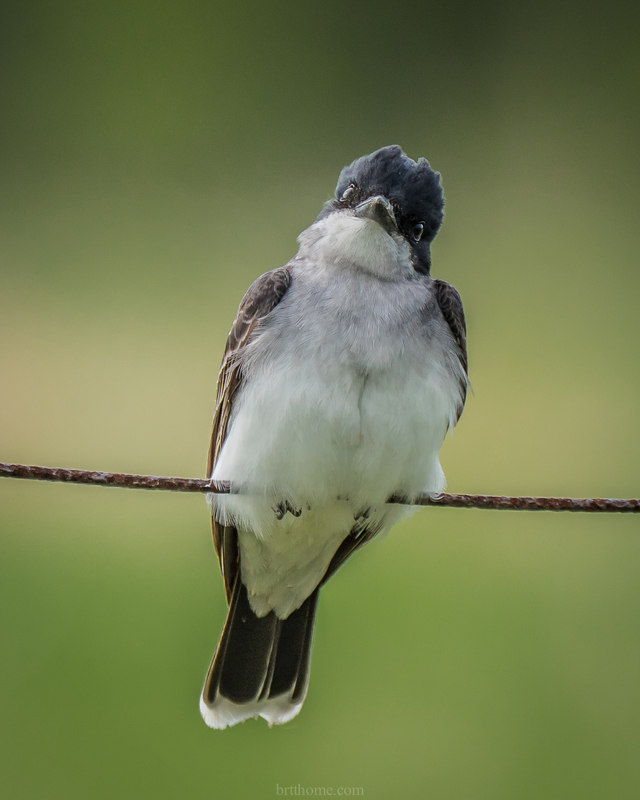 Closer in, this Eastern Kingbird entertained me with its skillful hawking of insects from its perches on a page-wire fence. At times I felt that the photographer was entertaining this birdie! 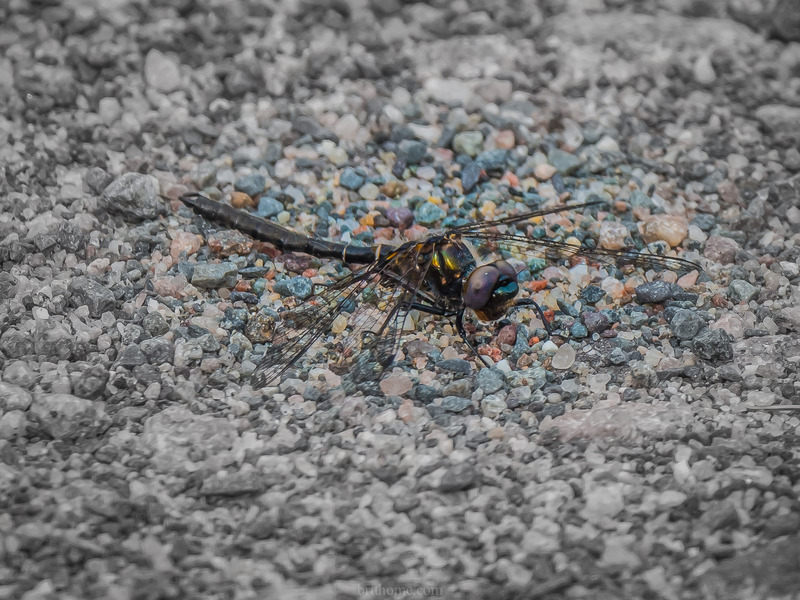 This Dragonfly was moving around on the gravel of a driveway. 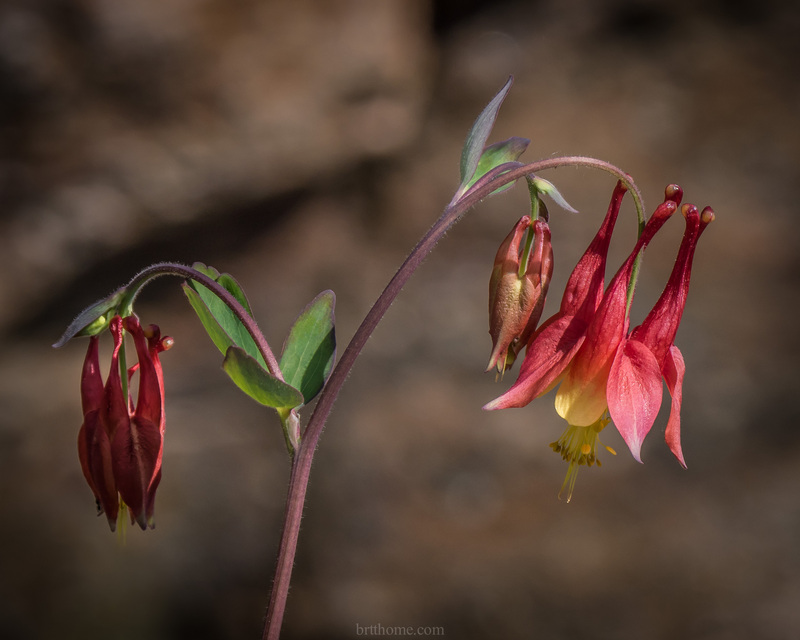 I cannot ID it using the Guide at OnNatureMagazine. Help! 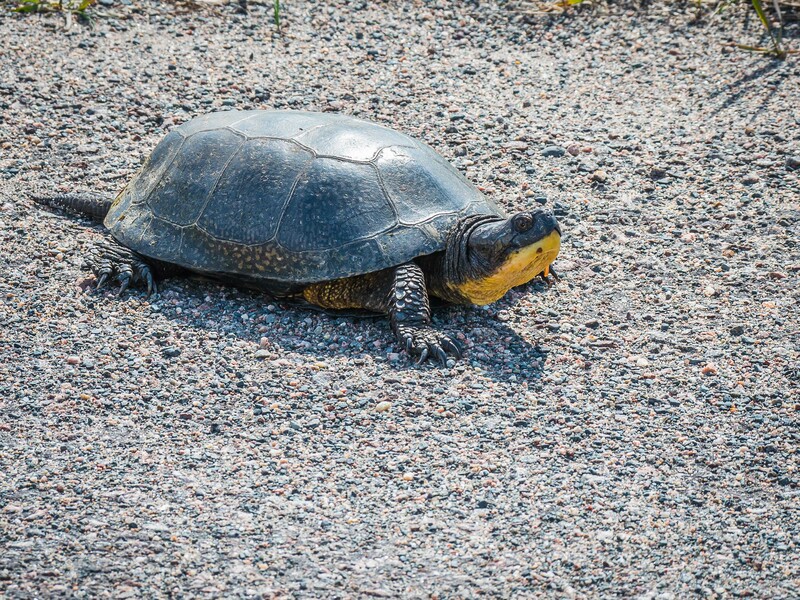 And, finally, here is a Blanding’s Turtle showing its bright yellow/orange throat while crossing Hwy 529. Lots of interesting text and photography in the above. This entry was tagged Blanding's turtle. Bookmark the permalink. Now I have to learn to ID Dragonflies!!! !